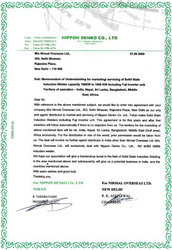 Certificate of recognition for government recognized export house. 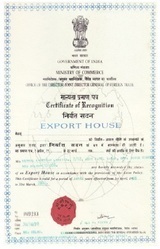 Certificate for Government recognized export house. 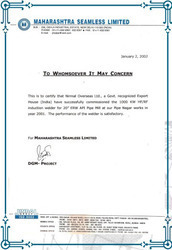 To view the Certificate, kindly see the image. 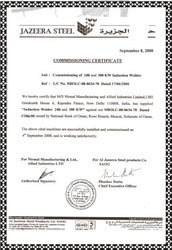 Commissioning Certificate for Induction Welder.